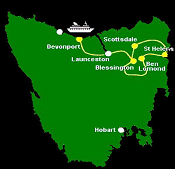 Tasmania is promoted as the natural state, the 'Island of Inspiration',and A world Apart, Not A World Away owing to its large and relatively unspoiled natural environment. 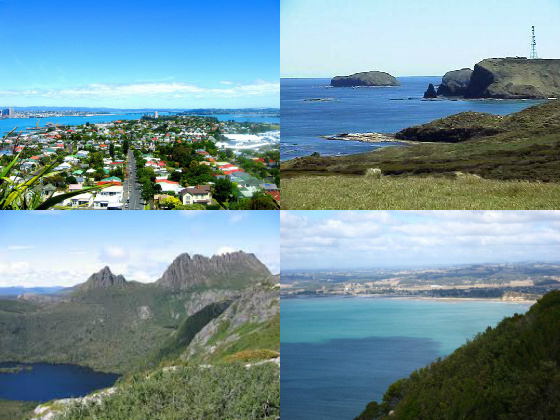 Almost 45% of Tasmania lies in reserves, national parks and +World Heritage Sites. Which is why +Fair Dinkum Bike Tours offers 1 - 6 Day tours to explore this amazing part of the World. Here is a sample of the tours that we provide. At least 4 or 5 days is required to do this ride, and due to winter rainfall October to April are the only months to do this tour as the river crossings are impassable. This 5 day tour is the most popular. Best time to ride the North East is from March through to November. The ride covers average from 150klms to 200 klms per day. Secure vehicles in depot at Blessington (30 mins east of Launceston). Follow trails and forest breaks as we head north to Scottsdale for the first overnight stay. 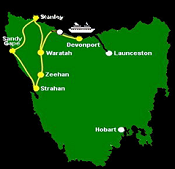 Head out to some awesome sandy and loose granite trails as we head for the east coast of Tassie stoppin in St Helens for a night. The day is spent riding the trails of Peron Dunes of the beach front, riding the local east coast tracks or you can choose to have a lay day and go fishing. Go to the east coast to the mountain top of Ben Lomond for a stay at Tassie's only ski resort. Plenty of good rainforest trails along the way. Circumnavigate Ben Lomond to the Rock Fest which will sort out the men from the boys. Make our way back to the cars in the afternoon giving enough time to get back to the ferry for the trip back to the mainland. Be sure to check out www.fairdinkumbiketours.com.au & www.fairdinkumaustralia.com.au to see what trips we have coming up so that you can experience the ride of a lifetime.